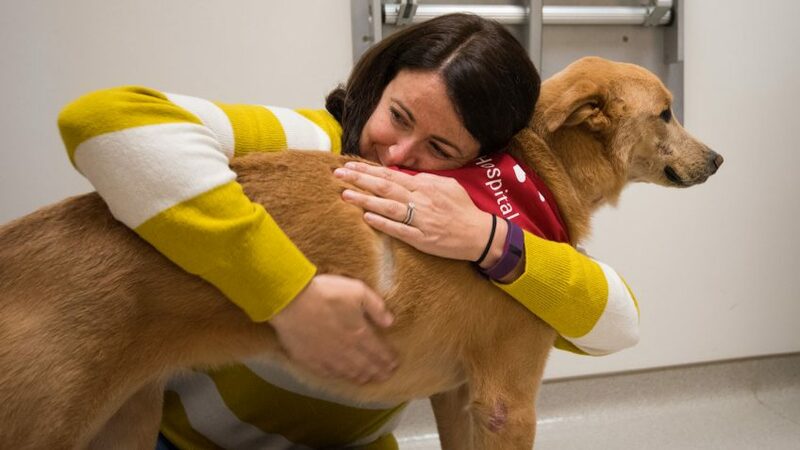 A program offering bone marrow transplants for dogs suffering from lymphoma, the most common type of cancer in canines, has relaunched at the NC State Veterinary Hospital (VH). Since the start of the hospital’s Canine Bone Marrow Transplant Unit in 2008, 72 dogs with lymphoma or leukemia have been treated with a bone marrow transplant procedure in conjunction with chemotherapy. The CVM was the first — and remains the only — veterinary college in the world to offer bone marrow transplants for dogs. The cure rate using bone marrow transplants is approximately 35 percent for dogs with B-cell lymphoma treated from 2008 to 2011 at the hospital, compared with a 0 to 2 percent cure rate when using chemotherapy alone, says Steven Suter, associate professor of medical oncology and medical director of the Canine Bone Marrow Transplant Unit. Client demand has led to a reintroduction of the procedure at the VH, part of the NC State College of Veterinary Medicine (CVM). According to the American Veterinary Medical Association, one in four dogs at some point in their life will develop some form of cancer. About 50 percent of dogs older than 10 will develop cancer and dogs suffer from cancer at roughly at the same rate of humans. Dogs receive the same type of treatment as humans treated with bone marrow transplants. The program, part of the college’s oncology service, uses total body irradiation to kill the cancer cells in the body and then uses healthy stem cells harvested from the bone marrow before the irradiation to repopulate the bone marrow, which is also killed in the process. Bone marrow stem cells produce blood cells that, among other vital functions, fight infections, help blood to clot and carry oxygen to body tissues. 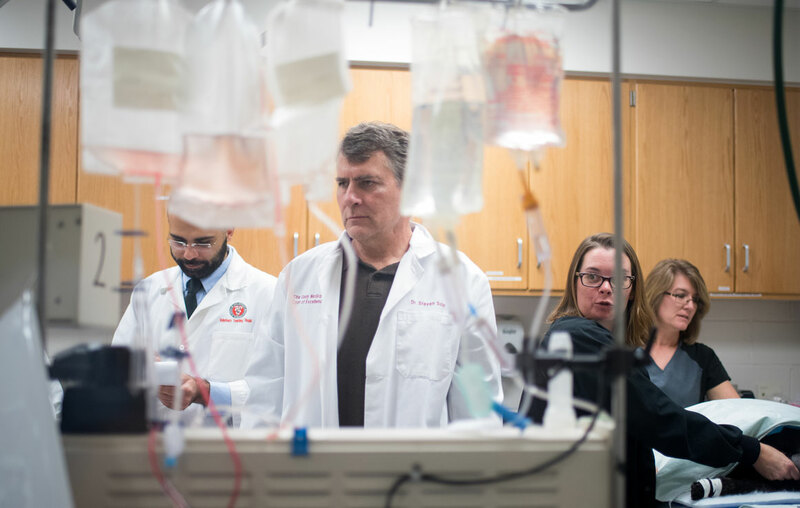 The transplant procedure itself, administered as a blood transfusion, lasts about 30 minutes. 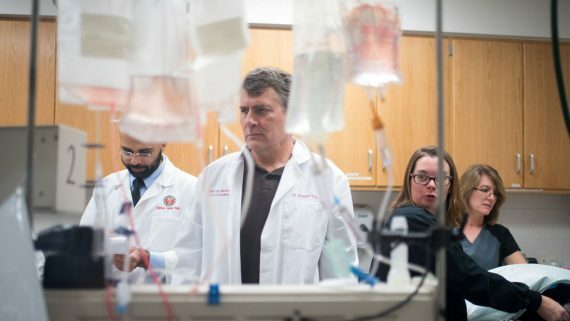 Within hours of the transplant, new bone marrow stem cells begin to grow, and it takes the new bone marrow up to two weeks to make all the blood cells necessary for life. The average hospital stay for the painless procedure, actually a combination of a few smaller procedures in a row, is about three weeks. The care of the transplanted dogs in the hospital requires a wide collaboration between multiple departments at the veterinary hospital, from oncology to internal medicine and intensive care unit. For the procedure to be most effective, dogs should receive chemotherapy and be in clinical remission before being transplanted. There are dogs who have received bone marrow transplants at the veterinary hospital that have survived more than five years after the procedure, says Suter. That’s particularly gratifying for Suter and the hospital team. But also gratifying is giving clients simply the chance to spend more time with their beloved pets.